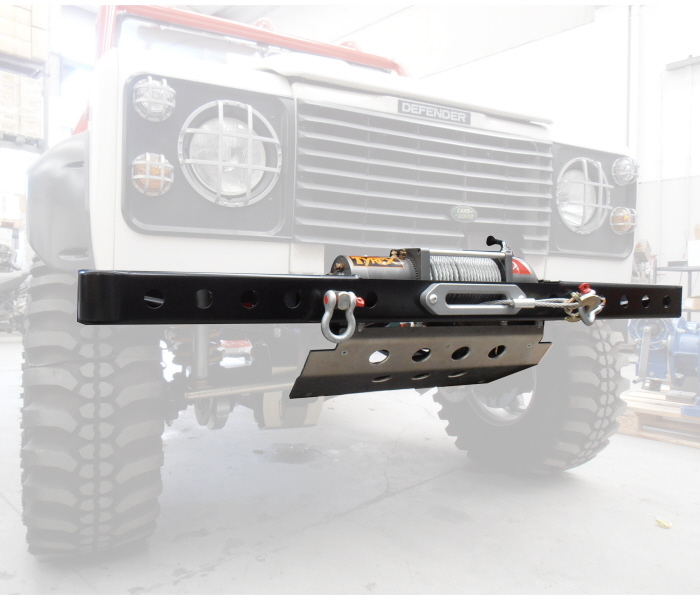 HD front winch bumper for Defender, great style with very HD conception, modular divided in 3 parts which simplify carriage and fitting. 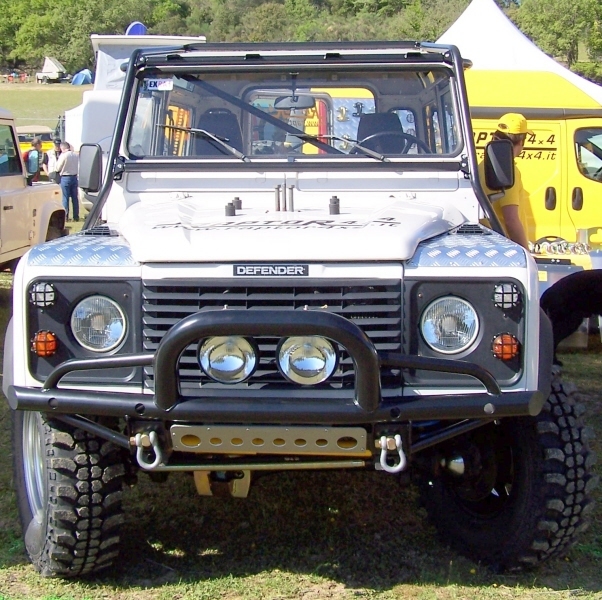 Suitable also for A/C cars all models: Defender 90/110/130 from 12j to TD4 Puma. 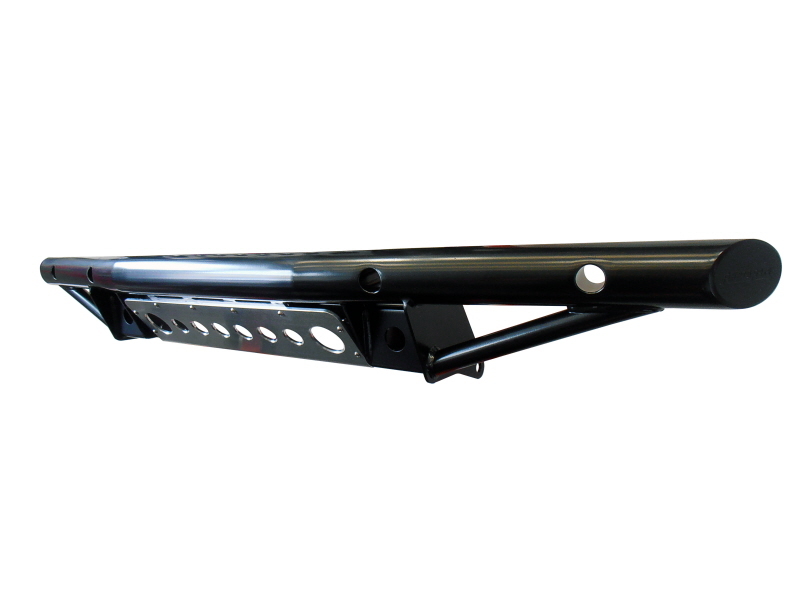 Land Rover squared bumper like original, 6mm thickness in steel black powder coated. 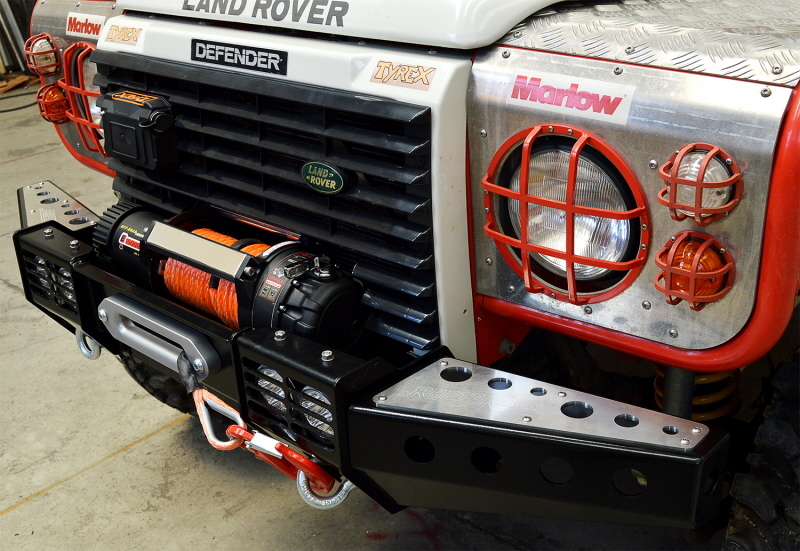 HD squared winch bumper for Defender. 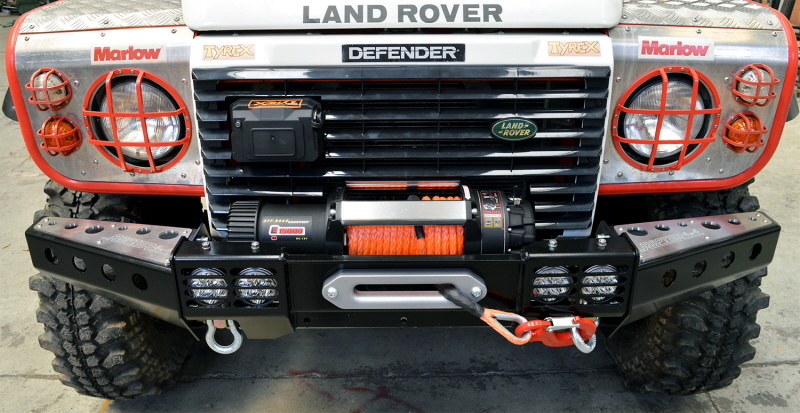 Allow to fit winches of every brand without changing front angles of the car. Even with air conditionned that's enough to have a separate solenoid winch and that's it. 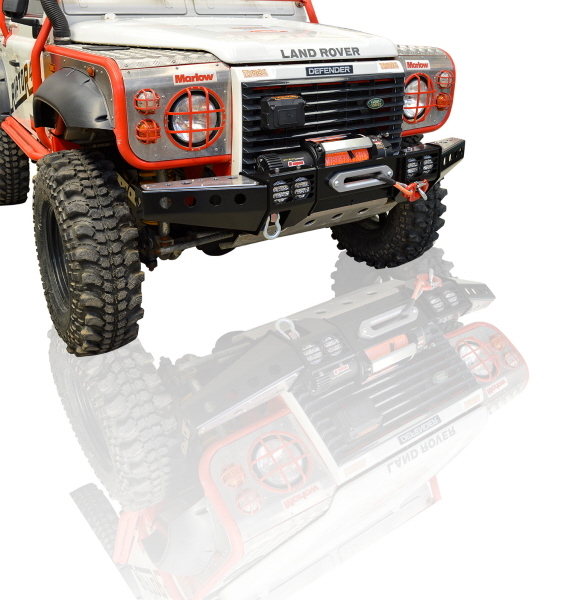 Without a-bar, with winch carrier. 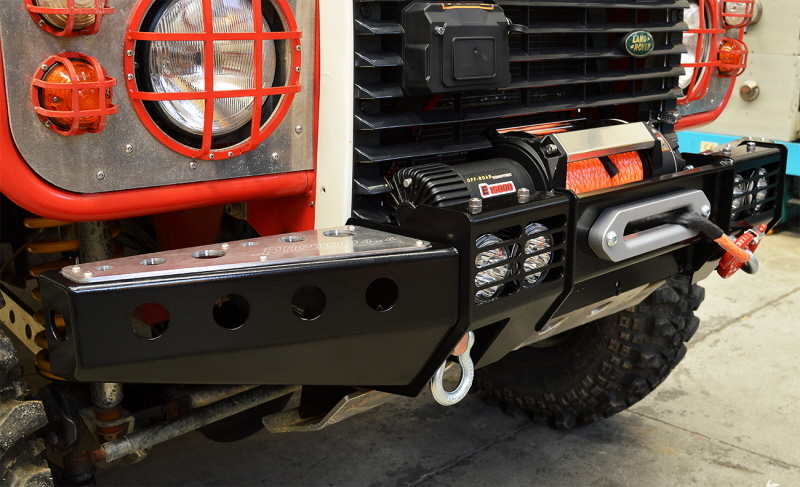 A-bar d.60mm, with winch carrier. 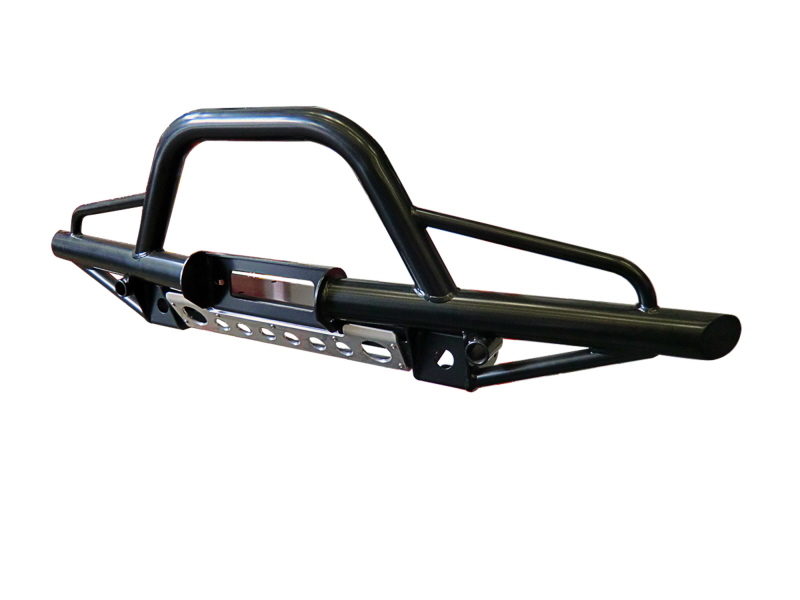 A-bar d.76mm, very HD tubular bumper, no winch carrier. 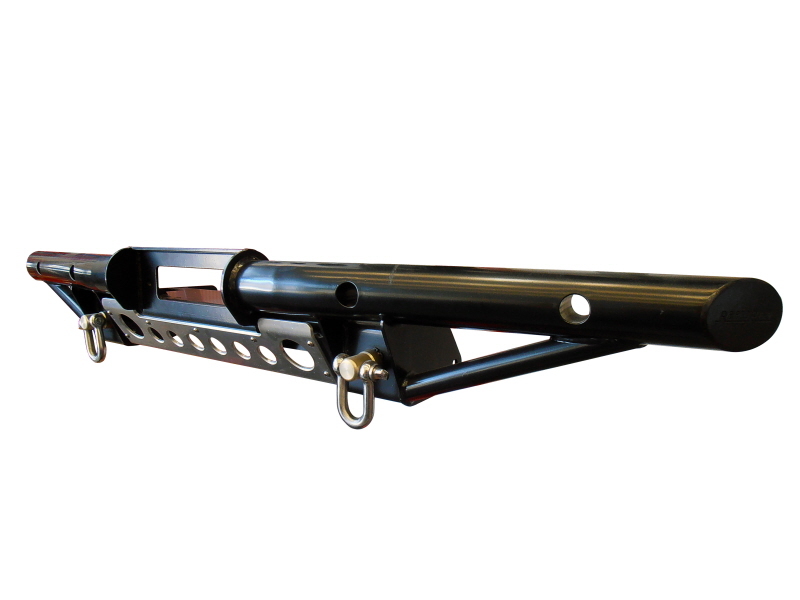 Tube d.89mm, without a-bar, with winch carrier.